A photo of José Rizal, National hero of the Philippines. José P. Rizal (full name: José Prota Rizal Mercado y Alonso Realonda) (June 19, 1861 – December 30, 1896) was a Filipino polymath, nationalist and the most prominent advocate for reforms in the Philippines during the Spanish colonial era. He is considered the Philippines' national hero and the anniversary of Rizal's death is commemorated as a Philippine holiday called Rizal Day. Rizal's 1896 military trial and execution made him a martyr of the Philippine Revolution. The seventh of eleven children born to a wealthy family in the town of Calamba, Laguna (province), Rizal attended the Ateneo Municipal de Manila, earning a Bachelor of Arts degree sobresaliente. He enrolled in Medicine and Philosophy and Letters at the University of Santo Tomas and then traveled alone to Madrid, Spain, where he continued his studies at the Universidad Central de Madrid, earning the degree of Licentiate in Medicine. He attended the University of Paris and earned a second doctorate at the University of Heidelberg. He was known as a hero, author, and an eye doctor. As a political figure, Rizal was the founder of La Liga Filipina, a civic organization that subsequently gave birth to the Katipunan led by Andres Bonifacio and Emilio Aguinaldo. He was a proponent of institutional reforms by peaceful means rather than by violent revolution. The general consensus among Rizal scholars, however, attributed his martyred death as the catalyst that precipitated the Philippine Revolution. José Rizal's parents, Francisco Engracio Rizal Mercado y Alejandra II (1818-1898) and Teodora Morales Alonso Realonda y Quintos (1827-1911), were prosperous farmers who were granted lease of a hacienda and an accompanying rice farm by the Dominicans. Rizal was the seventh child of their eleven children namely: Saturnina (1850-1913), Paciano (1851-1930), Narcisa (1852-1939), Olympia (1855-1887), Lucia (1857-1919), Maria (1859-1945), José Protasio (1861-1896), Concepcion (1862-1865), Josefa (1865-1945), Trinidad (1868-1951) and Soledad (1870-1929). Rizal was a sixth-generation patrilineal descendant of Domingo Lam-co (Chinese: 柯仪南; pinyin: Ke Yinan), a Chinese immigrant entrepreneur who sailed to the Philippines from Jinjiang, Quanzhou in the mid-seventeenth century. 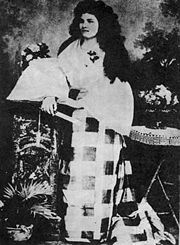 Lam-co married Inez de la Rosa, a Sangley native of Luzon. To free his descendants from the anti-Chinese animosity of the Spanish authorities, Lam-co changed the family surname to the Spanish surname "Mercado" (market) to indicate their Chinese merchant roots. In 1849, Governor-General Narciso Claveria ordered all Filipino families to choose new surnames from a list of Spanish family names. 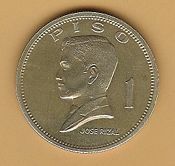 José's father Francisco adopted the surname "Rizal" (originally Ricial, the green of young growth or green fields), which was suggested to him by a provincial governor, whom José described as "a friend of the family." However, the name change caused confusion in the business affairs of Francisco, most of which were begun under the old name. After a few years, he settled on the name "Rizal Mercado" as a compromise, but usually just used the original surname "Mercado." Upon enrolling at the Ateneo Municipal de Manila, José dropped the last three names that make up his full name, at the advice of his brother, Paciano Rizal Mercado, and the Rizal Mercado family, thus rendering his name as "José Protasio Rizal." Of this, Rizal writes: "My family never paid much attention [to our second surname Rizal], but now I had to use it, thus giving me the appearance of an illegitimate child!" This was to enable him to travel freely and disassociate him from his brother, who had gained notoriety with his earlier links with Filipino priests who were sentenced to death as subversives. From early childhood, José and Paciano were already advancing unheard-of political ideas of freedom and individual rights which infuriated the authorities. 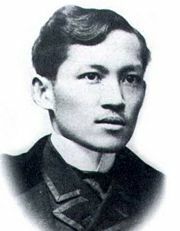 Despite the name change, Jose, as "Rizal" soon distinguishes himself in poetry writing contests, impressing his professors with his facility with Castilian and other foreign languages, and later, in writing essays that are critical of the Spanish historical accounts of the pre-colonial Philippine societies. Indeed, by 1891, the year he finished his El Filibusterismo, this second surname had become so well known that, as he writes to another friend, "All my family now carry the name Rizal instead of Mercado because the name Rizal means persecution! Good! I too want to join them and be worthy of this family name…" José became the focal point by which the family became known, at least from the point of view of colonial authorities. Rizal, 11 years old, a student at the Ateneo Municipal de Manila. Aside from indigenous Filipino and Chinese ancestry, recent genealogical research has found that José had traces of Spanish, and Japanese ancestry. His maternal great-great-grandfather (Teodora's great-grandfather) was Eugenio Ursua, a descendant of Japanese settlers, who married a Filipina named Benigna (surname unknown). They gave birth to Regina Ursua who married a Sangley mestizo from Pangasinán named Atty. Manuel de Quintos, Teodora's grandfather. Their daughter Brígida de Quintos married a Spanish mestizo named Lorenzo Alberto Alonso, the father of Teodora. Austin Craig mentions Lakandula, Rajah of Tondo at the time of the Spanish incursion, also as an ancestor. 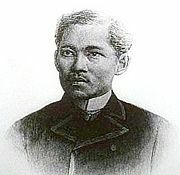 Rizal first studied under the tutelage of Justiniano Aquino Cruz in Biñan, Laguna. He was sent to Manila and enrolled at the Ateneo Municipal de Manila. He graduated as one of the nine students in his class declared sobresaliente or outstanding. He continued his education at the Ateneo Municipal de Manila to obtain a land surveyor and assessor's degree, and at the same time at the University of Santo Tomas Faculty of Arts and Letters where he studied Philosophy and Letters. Upon learning that his mother was going blind, he decided to study medicine, specializing in ophthalmology at the University of Santo Tomas Faculty of Medicine and Surgery but did not complete the program, claiming discrimination by the Spanish Dominican friars against the Filipino students. Without his parents' knowledge and consent, but secretly supported by his brother Paciano, he traveled alone to Europe, to Madrid in May 1882 to study medicine at the Universidad Central de Madrid where he earned the degree, Licentiate in Medicine. His education continued at the University of Paris and the University of Heidelberg where he earned a second doctorate. In Berlin he was inducted as a member of the Berlin Ethnological Society and the Berlin Anthropological Society under the patronage of the famous pathologist, Rudolf Virchow. Following custom, he delivered an address in German in April 1887 before the anthropological society on the orthography and structure of the Tagalog language. He left Heidelberg a poem, "A las flores del Heidelberg," which was both an evocation and a prayer for the welfare of his native land and the unification of common values between East and West. 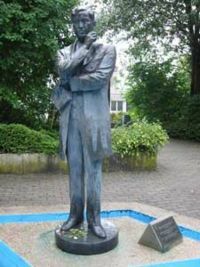 A plaque marks the Heidelberg building where he trained with Professor Becker, while in Wilhemsfeld, a smaller version of the Rizal Park with his bronze statue stands and the street where he lived was also renamed after him. A sandstone fountain in Pastor Ullmer’s house garden where Rizal lived in Wilhemsfeld, stands. Rizal's multi-facetedness was described by his German friend, Dr. Adolf Meyer, as "stupendous." Documented studies show him to be a polymath with the ability to master various skills and subjects. He was an ophthalmologist, sculptor, painter, educator, farmer, historian, playwright and journalist. Besides poetry and creative writing, he dabbled, with varying degrees of expertise, in architecture, cartography, economics, ethnology, anthropology, sociology, dramatics, martial arts, fencing and pistol shooting. He was also a Freemason, joining Acacia Lodge No. 9 during his time in Spain, he became a Master Mason in 1884. José Rizal's most famous works were his two novels, Noli me Tangere and El Filibusterismo. These writings angered both the Spaniards and the hispanicized Filipinos due to their insulting symbolism. They are highly critical of Spanish friars and the atrocities committed in the name of the Church. Rizal's first critic was Ferdinand Blumentritt, a Sudetan-German professor and historian whose first reaction was of misgiving. Blumentritt was the grandson of the Imperial Treasurer at Vienna and a staunch defender of the Catholic faith. This did not dissuade him however from writing the preface of El Filibusterismo after he had translated Noli me Tangere into German. Noli was published in Berlin (1887) and Fili in Ghent (1891) with funds borrowed largely from Rizal's friends. As Blumentritt had warned, these led to Rizal's prosecution as the inciter of revolution and eventually, to a military trial and execution. 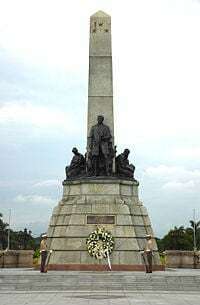 The intended consequence of teaching the natives where they stood brought about an adverse reaction, as the Philippine Revolution of 1896 took off virulently thereafter. The colonial authorities in the Philippines did not favor these reforms even though they were openly endorsed by Spanish intellectuals such as Morayta, Unamuno, Margall and others. Upon his return to Manila in 1892, he formed a civic movement called La Liga Filipina. The league advocated these moderate social reforms through legal means, but was disbanded by the governor. At that time, he had already been declared an enemy of the state by the Spanish authorities because of the publication of his novels. Rizal was implicated in the activities of the nascent rebellion and in July 1892, was deported to Dapitan in the province of Zamboanga. There he built a school, a hospital and a water supply system, and taught and engaged in farming and horticulture. Abaca, then the vital raw material for cordage and which Rizal and his students planted in the thousands, was a memorial. In Dapitan, the Jesuits mounted a great effort to secure his return to the fold led by Father Sanchez, his former professor, who failed in his mission. The task was resumed by Father Pastells, a prominent member of the Order. In a letter to Pastells, Rizal expresses an ecumenical spirit more common today. "We are entirely in accord in admitting the existence of God. How can I doubt his when I am convinced of mine. Who so recognizes the effect recognizes the cause. To doubt God is to doubt one's own conscience, and in consequence, it would be to doubt everything; and then what is life for? Now then, my faith in God, if the result of a ratiocination may be called faith, is blind, blind in the sense of knowing nothing. I neither believe nor disbelieve the qualities which many attribute to him; before theologians' and philosophers' definitions and lucubrations of this ineffable and inscrutable being I find myself smiling. Faced with the conviction of seeing myself confronting the supreme Problem, which confused voices seek to explain to me, I cannot but reply: 'It could be; but the God that I foreknow is far more grand, far more good: Plus Supra!…I believe in (revelation); but not in revelation or revelations which each religion or religions claim to possess. Examining them impartially, comparing them and scrutinizing them, one cannot avoid discerning the human 'fingernail' and the stamp of the time in which they were written…. No, let us not make God in our image, poor inhabitants that we are of a distant planet lost in infinite space. However, brilliant and sublime our intelligence may be, it is scarcely more than a small spark which shines and in an instant is extinguished, and it alone can give us no idea of that blaze, that conflagration, that ocean of light. I believe in revelation, but in that living revelation which surrounds us on every side, in that voice, mighty, eternal, unceasing, incorruptible, clear, distinct, universal as is the being from whom it proceeds, in that revelation which speaks to us and penetrates us from the moment we are born until we die. What books can better reveal to us the goodness of God, his love, his providence, his eternity, his glory, his wisdom? 'The heavens declare the glory of God, and the firmament showeth his handiwork'." As a gift to his mother on her birth anniversary he wrote the other of his poems of maturity, "Mi Retiro," with a description of a calm night overlaid with a million stars. The poem, with its concept of a spontaneous creation and speaking of God as Plus Supra, is considered his accommodation of evolution. timeless stories beneath the shroud of night. to wherever his fecund kiss was implanted. His best friend, Ferdinand Blumentritt, kept him in touch with European friends and fellow-scientists who wrote a stream of letters which arrived in Dutch, French, German and English and which baffled the censors, delaying their transmittal. Those four years of his exile coincided with the development of the Philippine Revolution from inception and to its final breakout. Despite the fact that he condemned the uprising, all the members of the Katipunan made him honorary president and used his name as a war-cry. From the viewpoint of the court which was to try him, this was enough to demonstrate his complicity in it. By 1896, the rebellion fomented by the Katipunan, a militant secret society, had become a full blown revolution, proving to be a nationwide uprising and leading to the first proclamation of a democratic republic in Asia. To dissociate himself, Rizal volunteered and was given leave by the Spanish Governor General Ramon Blanco to serve in Cuba to minister to victims of yellow fever. Blanco later was to present his sash and sword to the Rizal family as an apology. Before he left Dapitan, he issued a manifesto disavowing the revolution and declaring that the education of Filipinos and their achievement of a national identity were prerequisites to freedom. Rizal was arrested en route, imprisoned in Barcelona, and sent back to Manila to stand trial. He was implicated in the revolution through his association with members of the Katipunan and was to be tried before a court-martial for rebellion, sedition, and conspiracy. During the entire passage, he was unchained, no Spaniard laid a hand on him, and had many opportunities to escape but refused to do so. Rizal was convicted on all three charges and sentenced to death. Governor General Blanco, who was sympathetic to Rizal, had been forced out of office, and the friars had intercalated Polavieja in his stead, sealing Rizal's fate. In 1896 while Rizal was in prison in Fort Santiago, his brother Paciano was tortured by Spaniards trying to extract evidence of Jose's complicity in the revolution. Two officers took turns applying pins under Paciano's fingernails; with his hands bound behind him and raised several feet, he was dropped repeatedly until he lost consciousness. His poem, undated and believed to be written on the day before his execution, was hidden in an alcohol stove and later handed to his family with his few remaining possessions, including the final letters and his last bequests. Within hearing of the Spanish guards he reminded his sisters in English, "There is something inside it," referring to the alcohol stove given by the Pardo de Taveras which was to be returned after his execution, thereby emphasizing the importance of the poem. This instruction was followed by another, "Look in my shoes," in which another item was secreted. Exhumation of his remains in August, 1898, under American rule, revealed he had been uncoffined, his burial not on sanctified ground granted the 'confessed' faithful, and whatever was in his shoes had disintegrated. In his letter to his family he wrote: "Treat our aged parents as you would wish to be treated...Love them greatly in memory of me...December 30, 1896." In his final letter, to the Sudeten-German professor Ferdinand Blumentritt - Tomorrow at 7, I shall be shot; but I am innocent of the crime of rebellion... He had to reassure him that he had not turned revolutionary as he once considered being, and that he shared his ideals to the very end. He also bequeathed a book personally bound by him in Dapitan to his 'best and dearest friend.' When Blumentritt received it he broke down and wept. 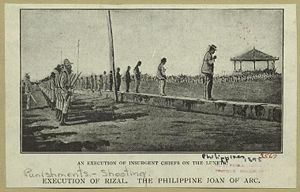 According to tradition, moments before his execution by a firing squad of Filipino native infantry, backed by an insurance force of Spanish troops, the Spanish surgeon general requested to take Rizal's pulse; it was normal. Aware of this, the Spanish sergeant in charge of the backup force hushed his men to silence when they began raising '¡vivas!' with the partisan crowd. His last words were that of Jesus Christ: "consummatum est",—it is done. He was secretly buried in Paco Cemetery in Manila with no identification on his grave. His sister Narcisa toured all possible gravesites and found freshly turned earth at the cemetery with civil guards posted at the gate. Assuming this could be the most likely spot, there being ever no ground burials there, she made a gift to the caretaker to mark the site "RPJ." Rizal's tomb in Paco Park (formerly Paco Cemetery). A monument, with his remains, now stands near the place where he fell, designed by the Swiss Richard Kissling of the famed William Tell sculpture. The statue carries the inscription "I want to show to those who deprive people the right to love of country, that when we know how to sacrifice ourselves for our duties and convictions, death does not matter if one dies for those one loves – for his country and for others dear to him." That his burial was not on holy ground led to issues raised on the veracity of accounts of his 'retraction,' which the Church ever since has been vigorously defending. Many continue to believe that Rizal neither married his sweetheart Josephine Bracken in Roman Catholic rites hours before his execution nor ever retracted those parts of his writings that were anti-Roman Catholic. Those who deny the retraction point out to a revealing clue tucked in 'Adiós', I go where there are no slaves, no hangmen or oppressors, where faith does not kill... Whether this stanza was his final comment on the Catholic Church is a subject of dispute. In most of his writings Rizal maintained that the men of the cloth were the real rulers and the real government. Much of the Church's case rests on claims of a signed retraction, a copy of which could not be produced and shown to the Rizal family despite their repeated requests. The retraction controversy was documented in a film Bayaning Third World by Mike de Leon. The poem is more aptly titled, "Adiós, Patria Adorada" (literally "Farewell, Beloved Country"). By virtue of logic and literary tradition, the words come from the first line of the poem itself. It first appeared in print not in Manila but in Hong Kong in 1897, when a copy of the poem and an accompanying photograph came to J. P. Braga who decided to publish it in a monthly journal he edited. There was a delay when Braga, who greatly admired Rizal, wanted a good job of the photograph and sent it to be engraved in London, a process taking well over two months. It finally appeared under 'Mi último pensamiento,' a title he supplied and by which it was known for a few years. Thus, when the Jesuit Father Balaguer's anonymous account of the retraction and the marriage to Josephine was appearing in Barcelona, no word of the poem's existence reached him in time to revise what he had written. His account was to elaborate that Rizal would have had no time to write "Adiós." Six years after his death, when the Philippine Organic Act of 1902 was being debated in the United States Congress, Representative Henry Cooper of Wisconsin rendered an English translation of Rizal's valedictory poem capped by the peroration, "Under what clime or what skies has tyranny claimed a nobler victim?" The American government, however, would not sign the bill into law until 1916 and did not grant full autonomy until 1946—1950 years after Rizal's death. Josephine Bracken promptly joined the revolutionary forces in Cavite province, making her way through thicket and mud, and helped operate a reloading jig for Mauser cartridges at the arsenal at Imus. The short-lived arsenal under the Revolutionary General Pantaleon Garcia had been reloading spent cartridges again and again and the reloading jig was in continuous use, but Imus was under threat of recapture that the operation had to move, with Josephine, to Maragondon, the mountain redoubt in Cavite. She witnessed the Tejeros Convention prior to returning to Manila and was summoned by the Governor-General, but owing to her stepfather's American citizenship she could not be forcibly deported. She left voluntarily, returning to Hong Kong. She later married another Filipino, Vicente Abad, a mestizo acting as agent for the Philippine firm of Tabacalera. She died in Hong Kong in 1902, a pauper's death, buried in an unknown grave, and never knew how a line of verse had rendered her immortal. She bore a stillborn child with Rizal, who was buried in Dapitan, Mindanao. The child's birth is portrayed in the Marilou Diaz-Abaya film "Rizal." Polavieja faced condemnation by his countrymen. Years after his return to Spain, while visiting Giron in Cataluña, circulars were distributed among the crowd bearing Rizal's last verses, his portrait, and the charge that to Polavieja was due the loss of the Philippines to Spain. Others present him as a man of contradictions. Miguel de Unamuno in "Rizal: the Tagalog Hamlet," said of him, "a soul that dreads the revolution although deep down desires it. He pivots between fear and hope, between faith and despair." His critics assert this character flaw is translated into his two novels where he opposes violence in Noli and appears to advocate it in Fili, contrasting Ibarra's idealism to Simoun's cynicism. His defenders insist this ambivalence is trounced when Simoun is struck down in the sequel's final chapters, reaffirming the author's resolute stance, "Pure and spotless must the victim be if the sacrifice is to be acceptable." In the same tenor, Rizal condemned the uprising when Bonifacio asked for his support. Bonifacio, in turn, openly denounced him as a coward for his refusal. Rizal believed that an armed struggle for independence was premature and ill-conceived. Here Rizal is speaking through Father Florentino: …our liberty will (not) be secured at the sword's point… we must secure it by making ourselves worthy of it. And when a people reaches that height God will provide a weapon, the idols will be shattered, tyranny will crumble like a house of cards and liberty will shine out like the first dawn. Rizal never held a gun or sword in the battlefield to fight for freedom. This fact leads some to question his ranking as the nation's premier hero, with a few who believe in the beatification of Bonifacio in his stead. In his defense, the historian, Rafael Palma, contends that the revolution of Bonifacio is a consequence wrought by the writings of Rizal and that although the sword of Bonifacio produced an immediate outcome, the pen of Rizal generated a more lasting achievement. Rizal was a polyglot conversant in at least ten languages. He was conversant in Spanish, French, Latin, Greek, German, Portuguese, Italian, English, Dutch and Japanese. Rizal also made translations from Arabic, Swedish, Russian, Chinese, Greek, Hebrew, and Sanskrit. He translated the poetry of Schiller into his native Tagalog. In addition he had at least some knowledge of Malay, Chavacano, Cebuano, Ilocano, and Subanun. He was a prolific poet, essayist, diarist, correspondent, and novelist whose most famous works were his two novels, Noli me Tangere and El Filibusterismo. These are social commentaries on the Philippines that formed the nucleus of literature that inspired dissent among peaceful reformists and spurred the militancy of armed revolutionaries against 333 years of Spanish rule. The batteries are gradually becoming charged and if the prudence of the government does not provide an outlet for the currents that are accumulating, someday the sparks will be generated. Such sentiment was recognized by Gandhi who regarded him as a forerunner in the cause of freedom. Jawaharlal Nehru, in his prison letters to his daughter Indira, acknowledged Rizal's significant contributions in the Asian freedom movement. These leaders regarded these contributions as keystones and acknowledged Rizal's role in the movement as foundation layer. Rizal, through his reading of Morga and other western historians, knew of the genial image of Spain's early relations with his people. In his writings, he showed the disparity between the early colonialists and those of his day, with the latter's atrocities giving rise to Gomburza and the Philippine Revolution of 1896. His biographer, Austin Coates, and writer, Benedict Anderson, believe that Rizal gave the Philippine revolution a genuinely national character; and that Rizal's patriotism and his standing as one of Asia's first intellectuals have inspired others of the importance of a national identity to nation-building. Chicago, Cherry Hill Township, New Jersey, San Diego, and Seattle, U.S.A., , Reforma Avenue in Mexico City, Mexico, La Molina in Lima, Peru and many poetic titles were bestowed on him: "Pride of the Malay Race," "the First Filipino," "Greatest Man of the Brown Race," among others. The Order of the Knights of Rizal, a civic and patriotic organization, boasts of dozens of chapters all over the globe  . There are some remote-area religious sects who claim him as a sublimation of Christ. On June 19, 2008, a prominent bronze bust relief of Rizal, dubbed "the great Malayan," was unveiled by the President of Singapore Mr S.R. Nathan and the Philippine Department of Education Secretary Jesli Lapus at the Asian Civilisations Museum Green. The historic occasion was witnessed by Philippine Ambassador to Singapore Belen Fule-Anota, Chairman Ambeth Ocampo of the National Historical Institute, Singapore Ambassador-At-Large Prof. Tommy Koh and Mr Michael Koh, Chief Executive Officer of the National Heritage Board Singapore. Also present were members of the diplomatic corps, Singapore government officials and members of the Filipino community in Singapore. The two-sided marker bears a picture of a painting of Rizal by Fabian de la Rosa on one side. The other side was a bronze relief of Rizal by Philippine national artist Guillermo Tolentino, fabricated by Peter de Guzman. This artwork serves to mark the visits (1882, 1887, 1891,1896) of Rizal to Singapore. ↑ 2.0 2.1 "Jose Rizal" National Historical Institute quotation: "Francisco Engracio Mercado added added “Rizal” to the family surname"
↑ Wilson Y. Lee Flores, Philippine Inquirer internet ed., 1999, Rizal's rags-to-riches ancestor from South China. Retrieved December 18, 2008. ↑ Vicente L. Rafael—On Rizal's El Filibusterismo UCLA Center for Southeast Asian Studies. Retrieved December 18, 2008. ↑ Jose Rizal’s Lineage Retrieved December 18, 2008. 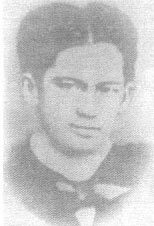 When Jose was baptized, the record showed his parents as Francisco Rizal Mercado and Teodora Realonda. ↑ At age 8 (in 1869) he wrote his first poem Sa aking mga Kabata and had for its theme the love of one's native language Jose Rizal: A Biographical Sketch. Retrieved December 18, 2008. ↑ Vicente L. Rafael—On Rizal's El Filibusterismo Retrieved December 18, 2008. ↑ Jose Rizal: A Biographical Sketch. joserizal.ph. Retrieved December 18, 2008. ↑ inquirer.net, Medical Files, Dr. Jose Rizal in Heidelber Retrieved December 18, 2008. ↑ The Many-Sided Personality joserizal.ph. Retrieved December 18, 2008. ↑ 12.0 12.1 12.2 Austin Craig. Lineage, Life and Labors of Rizal. (Manila: Philippine Education Co., 1913) online Lineage, Life and Labors of José Rizal, Philippine Patriot Project Gutenberg. Retrieved December 18, 2008. ↑ The Many-Sided Personality. joserizal.ph. Retrieved December 18, 2008. ↑ The Builder Magazine, August 1916 - Volume II - Number 8 phoenixmasonry.org (in English) Retrieved December 18, 2008. ↑ Mi Ultimo Adios, stanza 14. (See original Spanish text at Project Gutenberg.Mi Ultimo Adiós by José Rizal) Retrieved December 18, 2008. 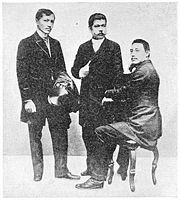 ↑ Interestingly, Rizal himself translated Schiller's William Tell into Tagalog in 1886.Rizal in Berlin, Germany Retrieved December 18, 2008. ↑ Ambeth Ocampo. Rizal without the Overcoat. (Manila: Anvil Publishing Co., 1990. ISBN 9712700437). Rizal's third novel Makamisa was rescued from oblivion by Ocampo. Demythologizing Rizal joserizal.info. Retrieved December 18, 2008., and  Retrieved December 18, 2008. ↑ Miguel de Unamuno, "The Tagalog Hamlet" in Rizal: Contrary Essays, edited by D. Feria and P. Daroy (Manila: National Book Store, 1968). ↑ 29.0 29.1 Jose Rizal. El Filibusterismo, (Ghent: 1891), chap.39, translated by Andrea Tablan and Salud Enriquez (Manila: Marian Publishing House, 2001. ISBN 9716861540). The Reign of Greed by José Rizal Project Gutenberg. Retrieved December 18, 2008. ↑ Rafael Palma. Pride of the Malay Race. (New York: Prentice Hall, 1949), 367. ↑ Rizal's annotations of Morga's Sucesos de las islas Filipinas (1609), which he copied word for word from the British Museum and had published, called attention to an antiquated book, a testimony to the well-advanced civilization in the Philippines during pre-Spanish era. In his essay "The Indolence of the Filipino" Rizal stated that three centuries of Spanish rule did not do much for the advancement of his countryman; in fact there was a 'retrogression', and the Spanish colonialists have transformed him into a 'half-way brute.' The absence of moral stimulus, the lack of material inducement, the demoralization—'the indio should not be separated from his carabao', the endless wars, the lack of a national sentiment, the Chinese piracy—all these factors, according to Rizal, helped the colonial rulers succeed in placing the indio "on a level with the beast". (read English translation by Charles Derbyshire at The Indolence of the Filipino Retrieved December 18, 2008. ↑ His signature book Noli was one of the first novels in Asia written outside Japan and China and was one of the first novels of anti-colonial rebellion. Noli me Tangere, translated by Soledad Locsin (Manila: Ateneo de Manila, 1996) ISBN 9715691889. Read Benedict Anderson's commentary: NITROGLYCERINE IN THE POMEGRANATE. Retrieved December 18, 2008. ↑ etext Filipinas Dentro De Cien Años Project Gutenberg Retrieved December 18, 2008. ↑ Jose Rizal, "Indolence of the Filipino" (read online English translation at Project Gutenberg The Indolence of the Filipino) Retrieved December 18, 2008. ↑ According to Anderson, Rizal is one of the best exemplars of nationalist thinking. Benedict Anderson. Under Three Flags: anarchism and the anti colonial imagination. (London: Verso Publication, 2005. ISBN 1844670376). (See also NITROGLYCERINE IN THE POMEGRANATE) Retrieved December 18, 2008. ↑ Dr. José Rizal's stay in Heidelberg and in Wilhelmsfeld Retrieved December 18, 2008. ↑ Arroyo unveils Rizal bust on last day in Peru knightsofrizal.org. Retrieved December 18, 2008. ↑ Michael C. Burgess, Dr. Rizal's story is a lesson to us all byronik.com. Retrieved December 18, 2008. ↑ Dr. Jose Rizal Park cityofseattle.net. Retrieved December 18, 2008. ↑ Philippine president to open park in Lima during APEC Summit andina.com. Retrieved December 18, 2008. ↑ Philippine Information Agency (PIA) (June 20, 2008). Feature: Rizal returns to Singapore. Press release. Retrieved on December 18, 2008. ↑ En route to APEC meet, First Gentleman rushed to hospital Retrieved December 18, 2008. ↑ Michael Lim Ubac, Philippine Daily Inquirer, Apr. 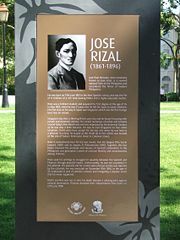 4, 2000, Peru erects monument for Jose Rizal globalnation. Retrieved December 18, 2008. Anderson, Benedict. Under Three Flags: anarchism and the anti colonial imagination. London: Verso Publication, 2005. ISBN 1844670376. Bonoan, Raul J., S.J. The Rizal-Pastells Correspondence: The hitherto unpublished letters of Jose Rizal and portions of Fr. Pablo Pastells's fourth letter and translation of … background and theological critique. Manila: Ateneo de Manila University Press, 1994/1996. ISBN 9715501230. Cavanna, Jesus. Rizal's Unfading Glory: A Documentary History of the Conversion of Dr. Jose Rizal. Manila: (1956), Enlarged 4th ed. 1983. Craig, Austin. (1913) Lineage, Life and Labors of Jose Rizal, Philippine Patriot. Retrieved December 18, 2008. Kessinger Publishing. ISBN 1419130587. Fadul, Jose (2002/2008). A Workbook for a Course in Rizal. Manila: De La Salle University Press. ISBN 9715554261. Fadul, J., ed. (2008). Encyclopedia Rizaliana. Morrisville, NC: Lulu Press. ISBN 9781430311423. Guerrero, Leon Ma. (2007) "The First Filipino." Awarded First Prize in the Rizal Biography Contest under the Auspices of the Jose Rizal National Centennial Commission in 1961.) (National Historical Institute of The Philippines) Guerrero Publishing, 1962 ISBN 9719341823. Laubach, Frank. Rizal: Man and Martyr. Manila: Community Publishers, 1936. Medina, Elizabeth. (1998). Rizal According to Retana: Portrait of a Hero and a Revolution. Santiago, Chile: Virtual Multimedia. ISBN 9567483094. Ocampo, Ambeth R. (2001). Meaning and history: The Rizal Lectures. Pasig: Anvil Publishing. ISBN 9789712711503. Ocampo, Ambeth R. (1993). Calendar of Rizaliana in the vault of the National Library. Pasig: Anvil Publishing. ISBN 9789712702945. Ocampo, Ambeth R. (1992). Makamisa: The Search for Rizal's Third Novel. Pasig: Anvil Publishing. ISBN 9789712702747. Ocampo, Ambeth R. (2008). Rizal without the overcoat. Pasig: Anvil Publishing. ISBN 9789712700439. Palma, Raphael. Pride of the Malay Race. New York: Prentice Hall, 1949. reprinted in 1966 as The pride of the Malay race: A biography of JoseÌ Rizal. Quirino, Carlos (1997). The Great Malayan. Makati City: Tahanan Books. ISBN 9716300859. Rizal, Jose. El Filibusterismo: Subversion: A Sequel to Noli Me Tangere. Ma. Soledad Lacson-Locsin, Translator. Honolulu: University of Hawaii Press, 2007. Zaide, Gregorio F. (2003) Jose Rizal: Life, Works and Writings of a Genius, Writer, Scientist and National Hero. Manila: National Bookstore. ISBN 9710805207.
Review of Dimasalang: The Masonic Life Of Dr. Jose P. Rizal. Caiñgat Cayo! original image scans of the pamphlet written in 1889. This page was last modified on 6 June 2018, at 21:16.